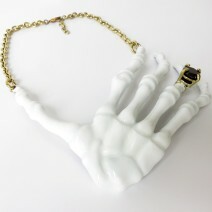 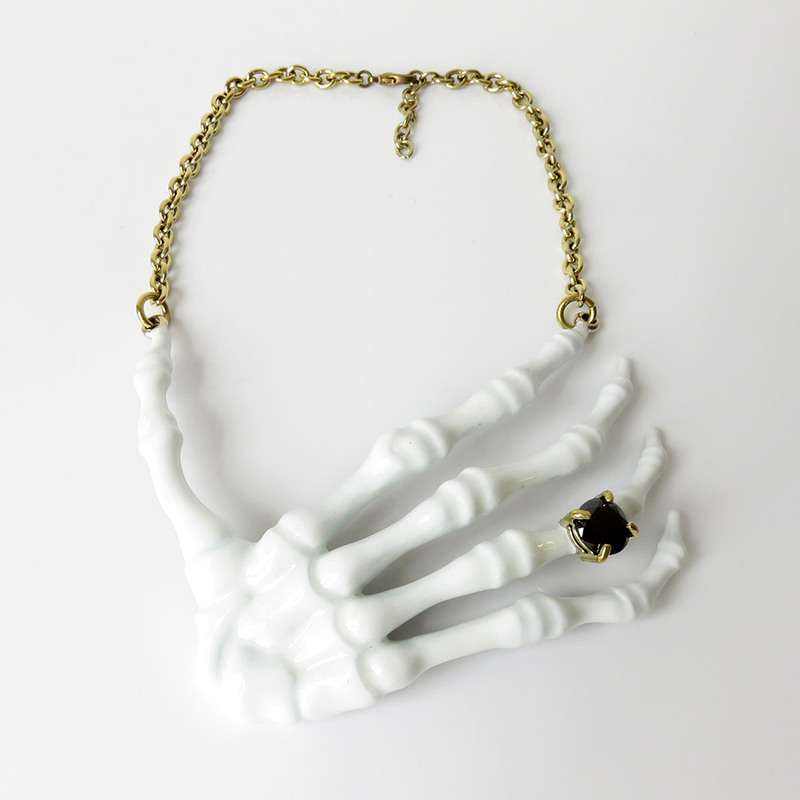 A luxury haute gothic white Skeleton hand necklace. This white enamelled human hand with a zirconia stone ring set on the finger of this ancient relic. 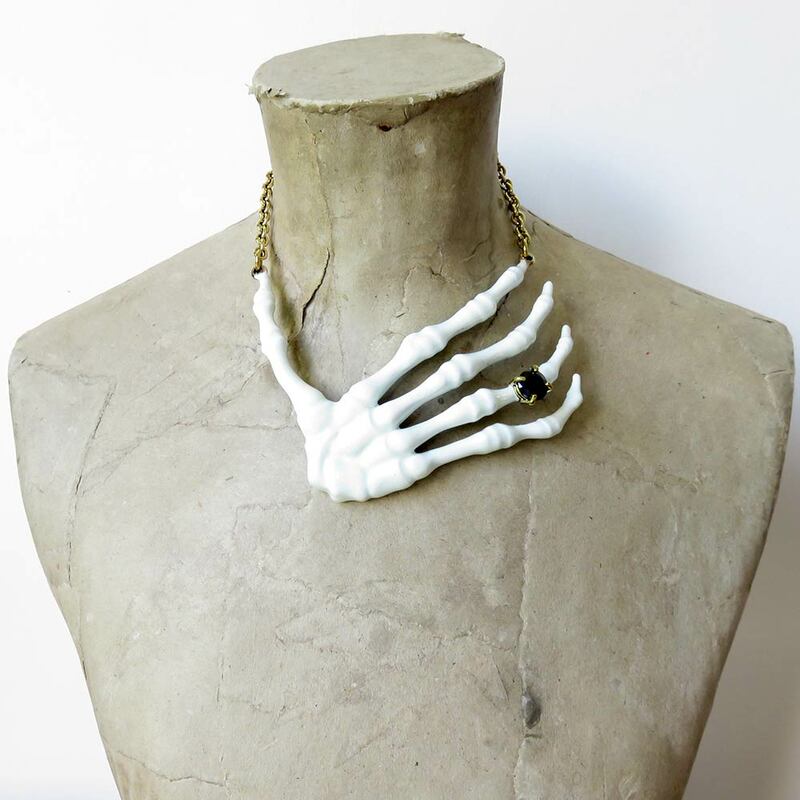 Inspired by the bejewelled dead Saint skeletons found in the Catacombes of the Vatican City of Rome, Italy. 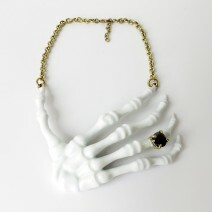 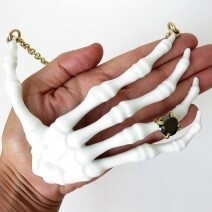 This bone hand necklace is the perfect addition to any outfit. 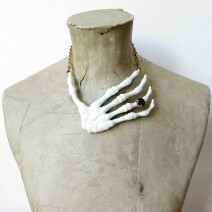 Statement jewellery with a darker Gothic feel.